Hotel delle Drapperie is a 3 Star hotel located in the Quadrilatero, the oldest area of Bologna, known for its picturesque streets, its ancient shops, its market and its historic buildings. In this very tourist district of Bologna there is the famous Piazza Maggiore and its palaces (Palazzo del Podesta, Torre dell’Arengo, Palazzo Re Enzo, Palazzo d’Accursio…), as well as theaters, museums, bars, restaurants and many fashion boutiques. This former inn underwent a careful renovation that has preserved its original appearance and now still offers friendly welcome and the services of a boutique hotel. 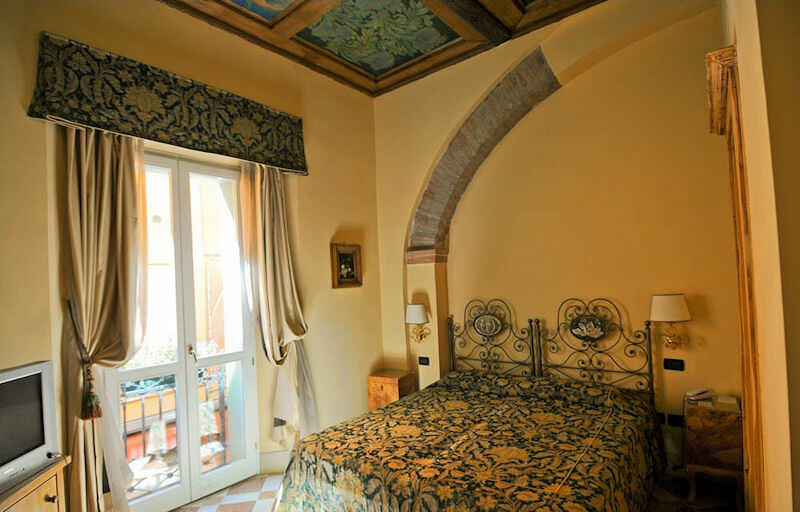 Albergo delle Drapperie offers 21 charming furnished bedroom, decorated with wooden ceilings and exposed beams. They are equipped with private bathroom and all modern amenities (satellite TV, direct telephone, minibar, air conditioning, individual safe). Wireless Internet available on request.